Check-ups, Tooth pulling and Haircuts?? Yes, you read that title correctly! This November we hosted a Samaritan’s Purse Canada medical mission where we were able to provide all three services and more! On November 7, a team of ten Canadians (Ken, Dr.John, Mercedes, Erin, Stephen, Kelli, Darcy, Rhonda, Laura and Betty) arrived in Tabuk City and promptly jumped up on top of a jeepney and took off with us to the mountains! Our team consisted of the ten Canadians (doctors, Nurse practitioners, nurses, an EMT, a psychologist … the list goes on!) and about 30 local church members, midwives, pastors, interpreters and over 20 members of the Philippine Army. We spent the next 10 days together, bringing all sorts of care to some of the most remote places in Kalinga. One of the places we went to was a municipality called Pasil. Pasil was one of the hardest hit areas during the typhoon last year and although we had sent some relief supplies we had not yet been able to go there in person. One of the local churches helped to arrange our accommodations in the village and we had lots of patients waiting to see us. We were so happy to have the local municipal doctor and dentist join us for our mission in Pasil so that we could bring even more services! Working with the army was a last minute addition to the mission but I can see in hindsight that it probably was God’s plan all along. We needed a dentist to join our team ASAP and so myself and Cheryl, one of the local pastors, visited the army barracks to ask for help. The commander couldn’t have been more welcoming and he promised to send not only a dentist, but a whole group of soldiers to give haircuts in the outreach villages as well as to be our security. During our 10-day mission to Pasil, Lucog and Pinukpuk we were able to see over 500 patients for medical check-ups and counselling, 157 dental patients, over 200 haircuts more than 250 eye exams with free glasses, as well as many prenatal check-ups and blood tests! The team also built a much needed wall in our clinic and 2 brand new tables! Thank you SP Canada for sending this team to be a blessing to the people of Kalinga! Today I completed our statistics for 2016 for our clinic. Thank you for all of your support!! Last week on Wednesday we started hearing that the typhoon headed towards the Philippines may affect us here in the middle of the Island of Luzon. Many of us were unfazed as we have numerous typhoons a year and it usually just means a cooler day with some rain. By Wednesday evening reports started coming in that the typhoon was picking up speed and Kalinga should expect a Signal number 5 (more than 200km/hour winds). I admit that I started to get a bit nervous. By 11pm on Wednesday night the winds started ripping through the Province of Kalinga. For the next four hours we were bombarded with wind and rain with whole trees being uprooted and roof tops being torn off houses. Our clinic was flooded on every floor by the rain coming in through every nook and cranny while the office roof was shredded by the winds. At our home it was only our garden and trees that were destroyed with our house and car thankfully being spared. Oh and the kids are loving playing amongst all the felled coconut trees next door. Driving through town the next day however, Tabuk looked like a different place. So many of the squatter homes at the side of the road were completely demolished. Almost every power line was down. Most of the beautiful tree lined roads were now covered with branches, trees trunks and electrical wires. In our beloved village of Pakak many homes were destroyed and the roof of the church was blown off. A family tries to clean up after the destruction. The one and only church in Pakak. Tabuk is in the middle of the clean up now. Burning of branches, leaves and garbage is continuous (*cough cough) and the power company is working overtime to get electricity restored. We have heard though that it may take up to two months before we get the electricity back! Amazingly enough there were very few casualties and for that we are thankful. So we continue to press on with clean up and caring for the women that still need to have their babies. Oh, another crazy thing, we were bombarded with labors for the week before the typhoon with all six beds full on two occasions. We just finished discharging all our postpartum mothers on Wednesday afternoon … just before the typhoon. Then, two days after the typhoon we started getting busy again! Could it be that a baby knows when its safe to come out? This month we celebrated the 2000th baby born at our clinic! For me, this was another signpost of how God keeps providing for us at Abundant Grace of God. The mother who delivered with us had delivered her other two babies with us as well, so this was an especially joyous occasion. Mother and baby were given a gift of a new baby bath full of newborn clothes and supplies. Welcome to the world baby Eduardo! We are so happy that you made your entrance at our clinic! I thought it may interest everyone to hear some numbers from Abundant Grace of God. One of the best things about being supported by a German organization (Geshenke der Hoffnung eV: www.geschenke-der-hoffnung.org) is that they have forced me to keep track of the things we are doing so that we are able to calculate our effectiveness and impact. Let me tell you that statistics are not something that I enjoy, but since doing this I have been excited to see the numbers of people we have been reaching with God’s love. 588 ~ women were enrolled in prenatal care. 3287 ~ prenatal visits were done. 1360 ~ postpartum visits were done. 286 ~ women delivered at AGGMC. Bugnay clinic patients at Christmas party. 236 ~ women attended a prenatal seminar with devotions. 5030 ~ is number of times that we prayed for patients at AGGMC. 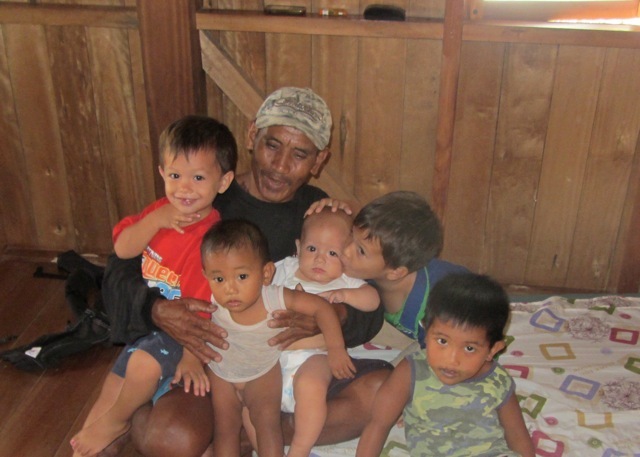 40 ~ outreaches were done in villages surrounding our clinics in Tabuk and Bugnay. 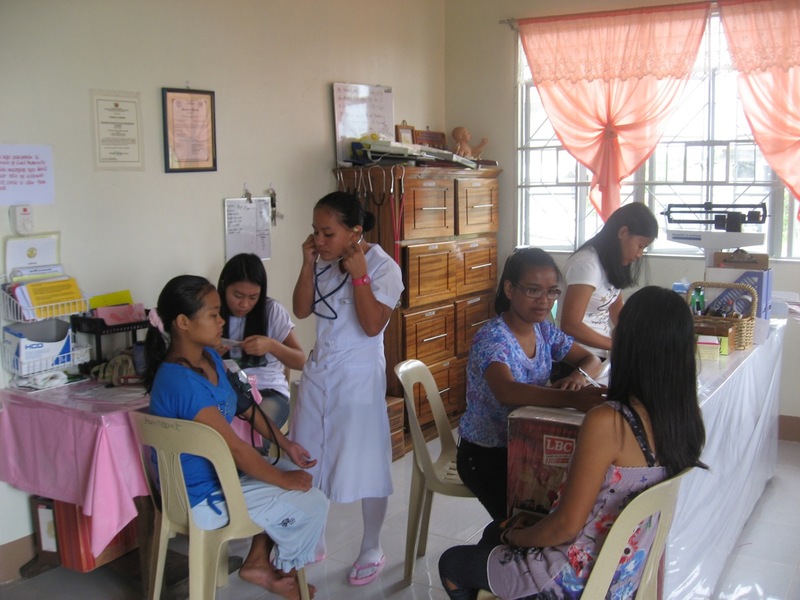 31 ~ Filipino student midwives received short-term training at our clinic. Claire (L) our nurse and Kate (R) our Social Worker. 6 ~ missionary midwives received training. 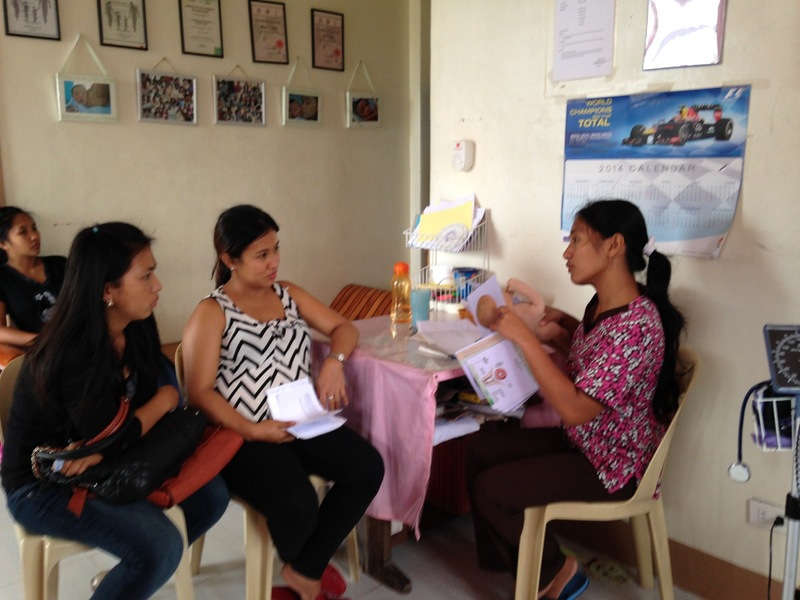 3 ~ new Registered Filipino Midwives were trained and hired at AGGMC. 9% ~ of women were transferred to hospital during labor. 32% ~ of women who delivered with us were first-time moms. 40% ~ of women who delivered with us had previously delivered at home unattended. 100% ~ of women surveyed said that they experienced God’s love at AGGMC. Thank you for your continued support to make 2015 an even better year than last! 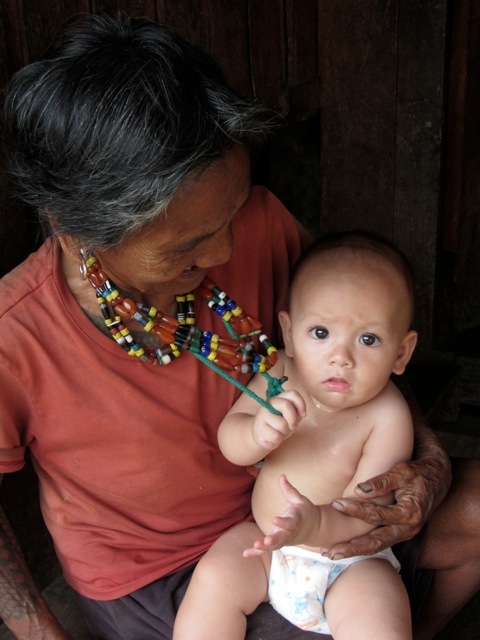 The World Needs More Midwives … Now! I don’t think that I could say it any better than that! AGGMC Staff Midwives being trained in Neonatal Resuscitation. 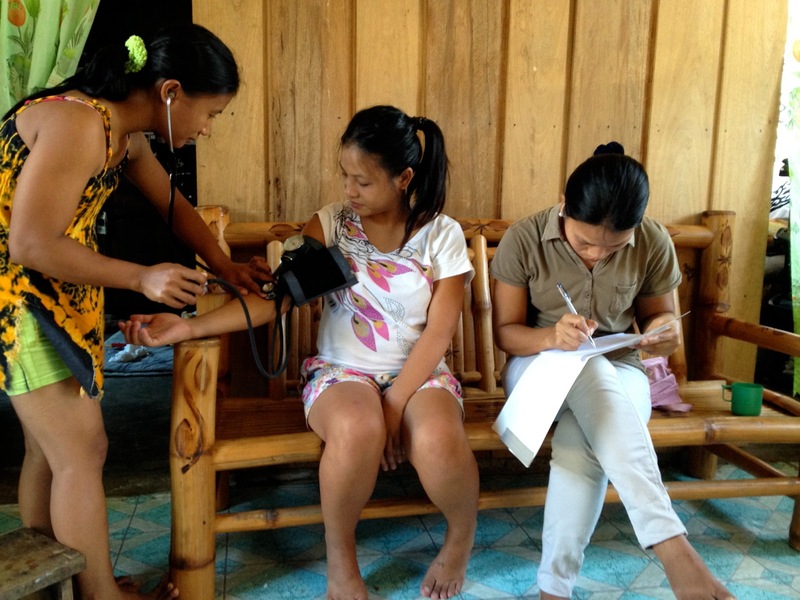 The Bugnay Staff Midwives doing regular prenatal check-ups for the women living in the remote mountains of Tinglayan. Training local student midwives on basic prenatal care. Many of the students we help to train, we eventually hire as staff midwives at AGGMC. Our monthly Well-Baby seminars in which we train mothers how to keep their babies and themselves healthy. It is my hope that at AGGMC we are making an eternal investment into the lives of our midwives and in turn, the mothers and babies of Kalinga. It has been a while since my last post so I thought I would give a quick catch up on what has been happening at the clinic. We are continuing our support and follow-up for baby John Lester as his last operation was not a success and he has to undergo another operation. Please pray for things to go well this time and that he would have lots of improvements this year. Although it is quite shocking to see his enlarged eye, he is quite a smiley and interactive baby now as opposed to before the first surgery when he was continually crying. Baby John Lester before his second surgery. 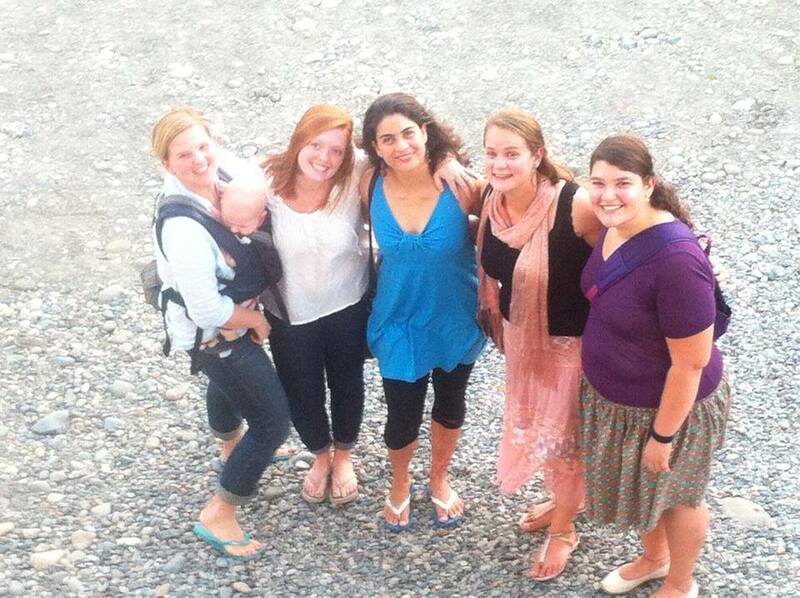 We have had the opportunity to work with three wonderful ladies from an Austrian midwifery school this past month. They have been so much fun to teach and also to learn from! Marlene, Manuela and Johanna contacted me earlier this year about the possibility of coming to intern with us. Although we had never had Austrian midwives before it sounded like a great adventure to me. It is so interesting to hear how different midwifery is in Austria; they are very hi-tech there! They seemed to really enjoy our low-tech methods here at the clinic though – and we enjoyed them! 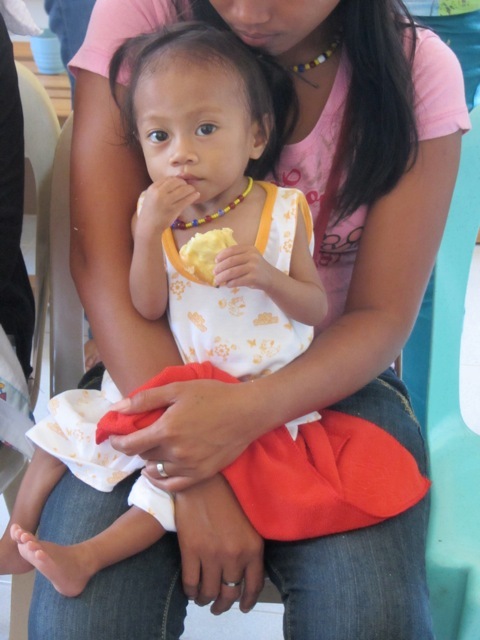 We delivered baby Ashley at our clinic a year ago. Soon after birth she was experiencing breathing difficulties so we referred her to the hospital for further care. Ashley’s family lives far away and after they were discharged from the hospital we didn’t see them again – until this May. On May 4, Ashley and her mom Julies came for a Well-Baby Seminar which we hold monthly at the clinic as a way of following up on babies and moms after their six weeks of postpartum check-ups. We were really worried about Ashley as she was so thin and seemed to be having a lot of trouble breathing. Her mother said that she had been sick on and off since birth and that they often didn’t have the money to buy the prescribed medications for her so they stopped going for check-ups. She also said that Ashley had to sleep sitting up or she couldn’t breath! 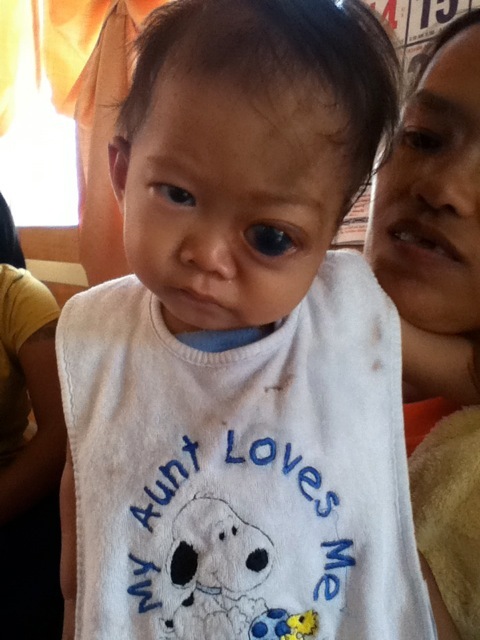 We offered to help them and the next day we accompanied Ashley and her mom for a check-up at the local pediatrician. She was diagnosed with massive pneumonia and had to be hospitalized. Julies and her family are with a government program which enrols them with the national health insurance. She knew that they were enrolled in the program but didn’t know how to use the benefits. Our social worker Kate was able to help them figure out all the paperwork and red tape and Ashley was admitted the following day for treatment. She recovered from her pneumonia after two weeks of treatment and we are continuing to follow up with Ashley to make sure she continues to gain weight and stay healthy. On a personal note, we finally took Zion up to Bugnay to meet all his relatives! We had a great time and they boys loved all the attention that they got. Zion had his “soob” which is a tribal birthday party for all Butbut boys. The whole village came out to celebrate (well it sounded like the whole village at 3am when I was trying to sleep 😉 ). We have such a special family up in Bugnay and I am so thankful for the incredible culture that my kids get to be a part of.